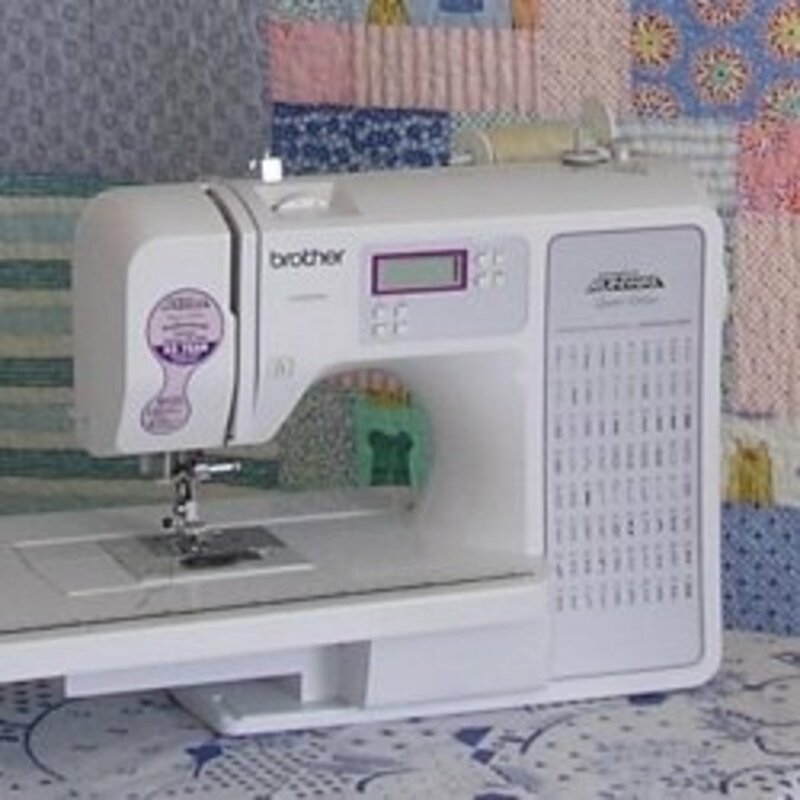 I am a self-taught quilter, and I've sewn seriously since I was 14. I hope I can share some of the things I've learned through the years. 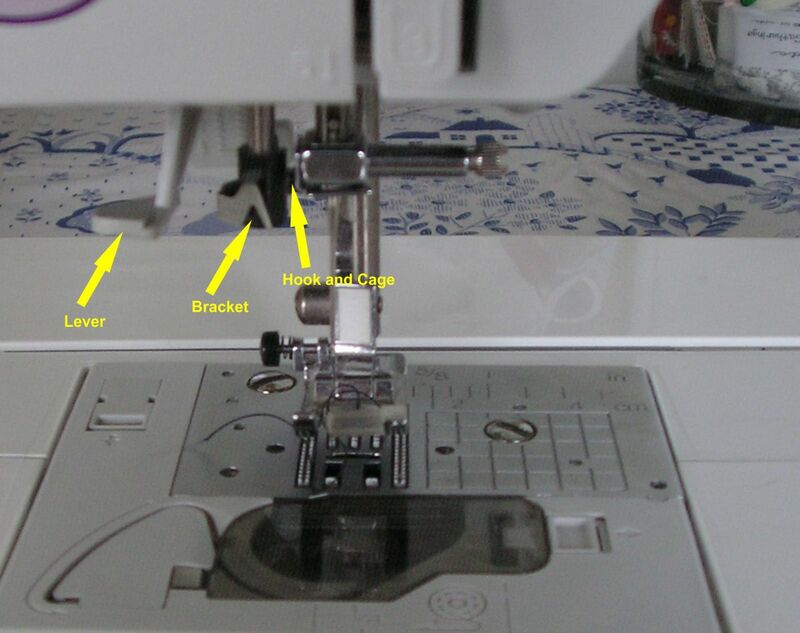 To Use or Not to Use Your Sewing Machine's Automatic Needle Threader: That Is the Question! Today, I'd like to talk about automatic needle threaders. 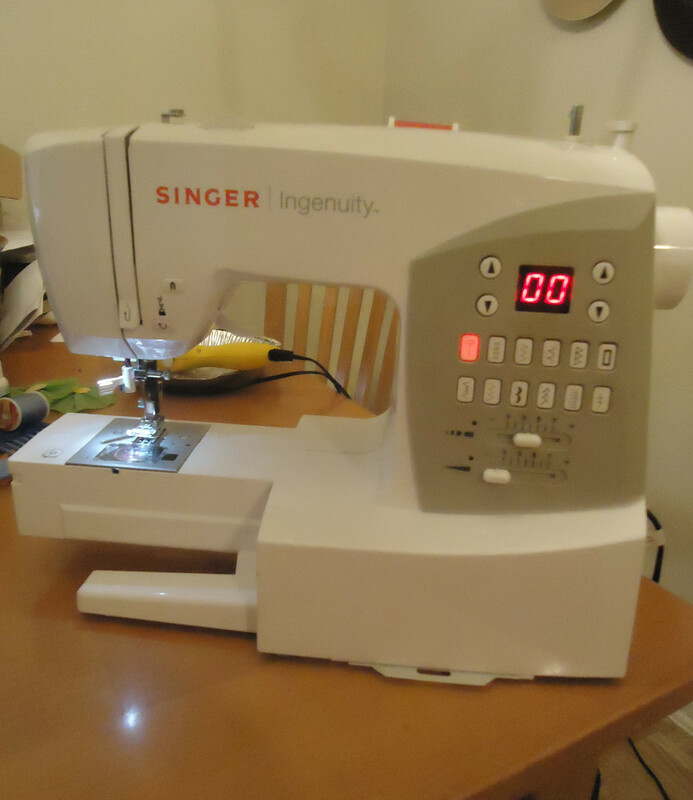 I first encountered one of these gadgets when I got my new Brother Project Runway sewing machine last year. After I conquered my fear of this new-fangled gadget, I was like, "Wow automatic needle threaders are kind of fiddly and tedious." Once I got used it, the automatic needle threader stopped working. (How typical is that?) Then, I went back to the old way and I was like, "Wow this way is really fiddly and tedious too", so I decided to check into how this thing works and develop a repair. Now, let's take a look a how an automatic needle threader works, so you can hardness its power, and learn how to use one or fix it! 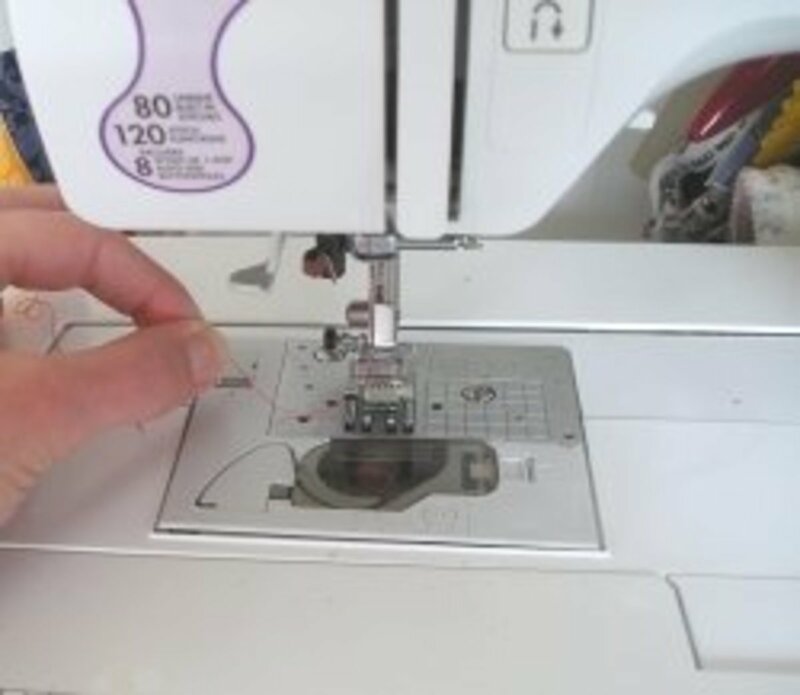 This guide is intended for new and experienced sewists who are learning to use a feature included on many new sewing machines and top-of-the-line models. *Content in this lens has been adapted from my video tutorial, which you can find below. 1. Raise your needle completely. 2. 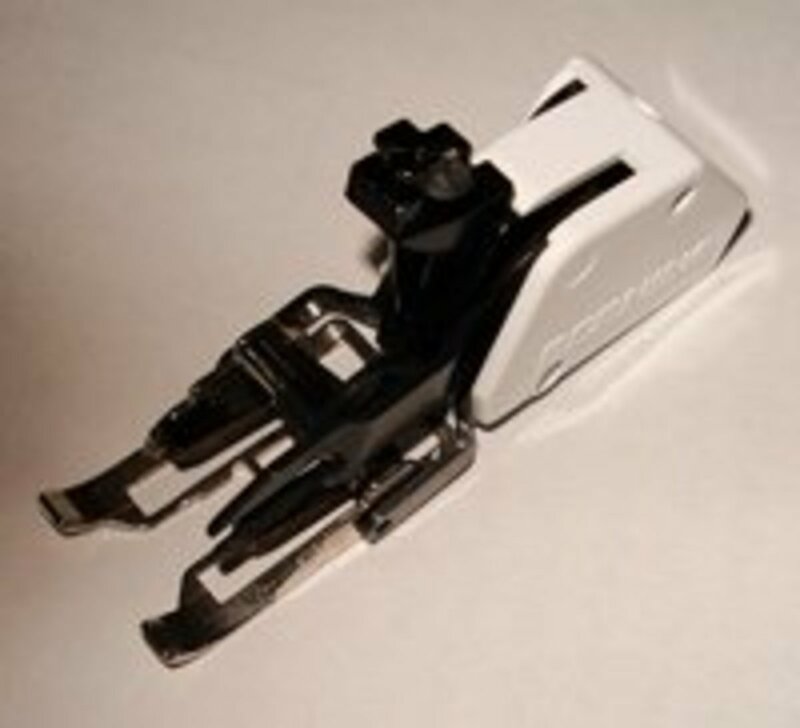 Lower your presser foot if necessary. 3. Press the needle threader lever. 4. Wrap your thread around the elbow-shaped bracket. 5. Pass the thread into the cage where the thread-catch hook is located. 7. Pull the loop through the eye of the needle. Understanding how this gadget works makes it much easier to use. 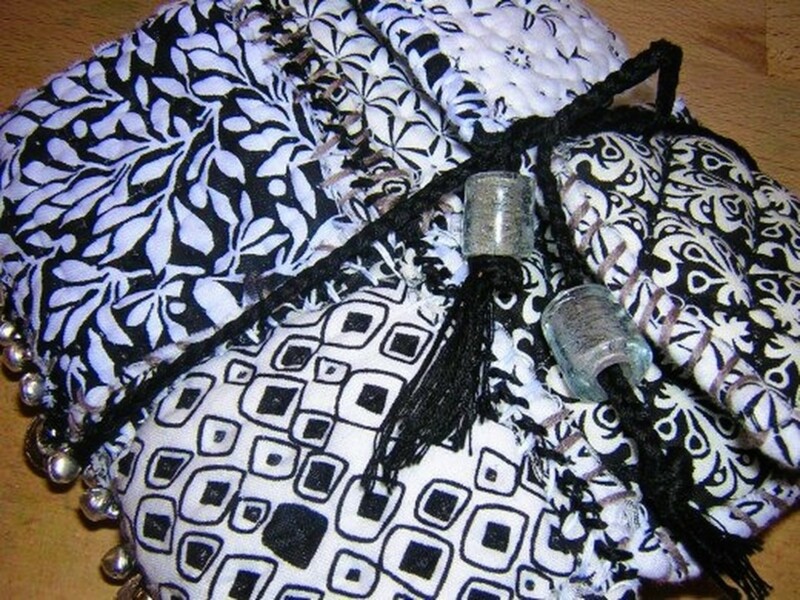 If you look closely, you'll notice that automatic needle threader rely on a tiny crochet-hook-like mechanism reaches through the eye of the needle, catches the thread and brings a loop back through. For my machine, I need to raise the needle all the way up, so a hash mark on the hand wheel is at the 12 o'clock position. 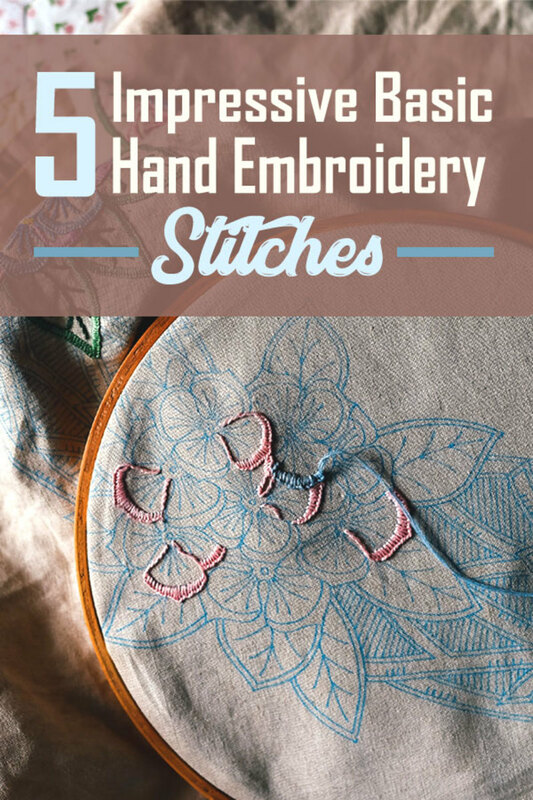 Once the needle is in the ideal position, you need to create a little hammock by wrapping the thread around the elbow-shaped bracket on the needle threading apparatus. At the same time, you'll push the lever for the needle threader. The bracket ensures that the thread is taught, and the lever lowers the hook mechanism and allows it to rotate forward. 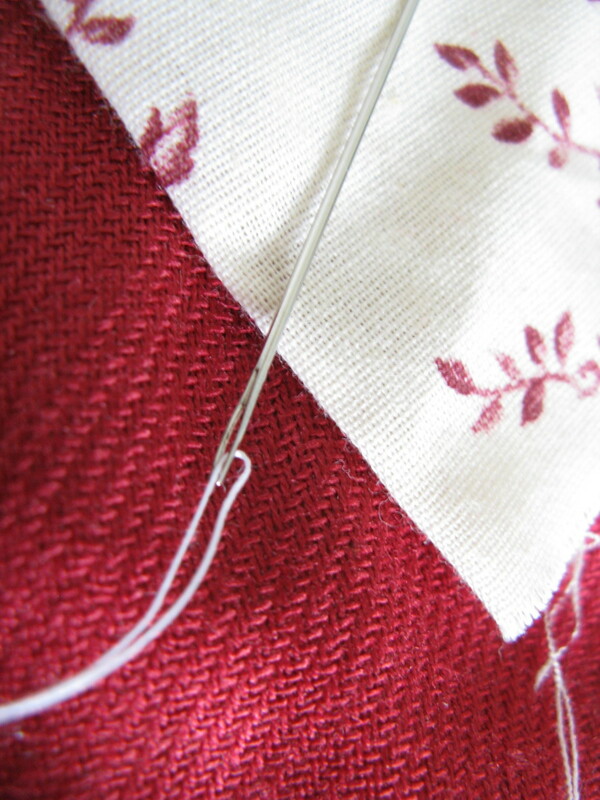 After the unit has met the needle, push the thread into the little cage that surrounds the thread-catch hook. At this point, if you wiggle the tail of your thread, you should feel it catch the hook. 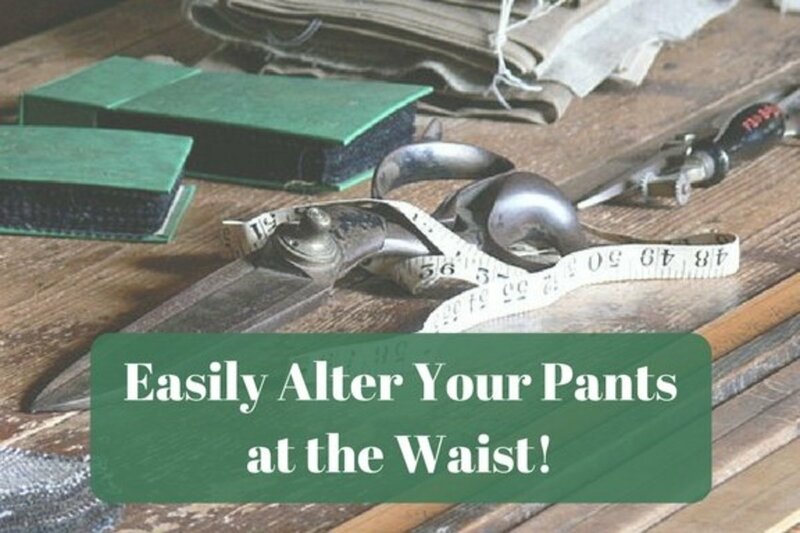 As you release the lever, a loop of thread will be pulled back through the eye of the needle. Just tug the end of the loop, and your needle will be threaded and ready to go! Because automatic needle threaders rely on the eye of your needle and hook of the needle threader aligning perfectly, several things can prevent the system for working properly. 1.) If your needle isn't installed properly or if the needle is not raised completely, the system will not work. Make sure your needle is mounted securely. If it's tightened without the top of the needle being pushed all the way into the holder, the eye of the needle won't be in the right position. 2.) You might also have problem with certain needle and thread combinations. 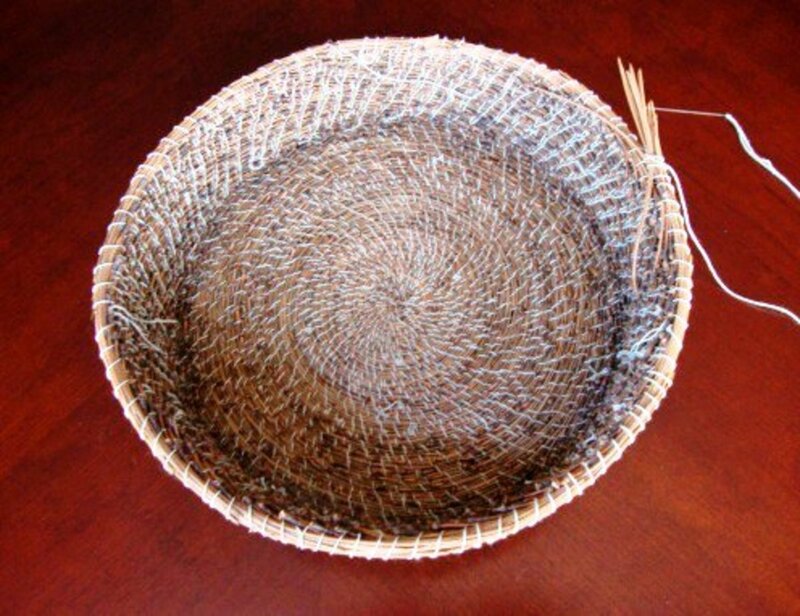 The greatest problem occurs when using thick thread with a small needle. Either thread your needle manually or use a larger needle size. 3.) The third possibility is that your needle threader is bent. The hook itself is very fragile and can be jarred easily. If this happens, the hook won't fit through the eye of the needle. Instead, it might be pushed to the outside of the needle, and you'll never get the thing threaded. If this happens, you might hear a metallic popping noise and fell that the mechanism doesn't glide smoothly. Fortunately, you can easily correct this problem without a trip to the repair shop. If your needle threader has stopped working, check to make sure that the hook is lining up with the eye of the needle. 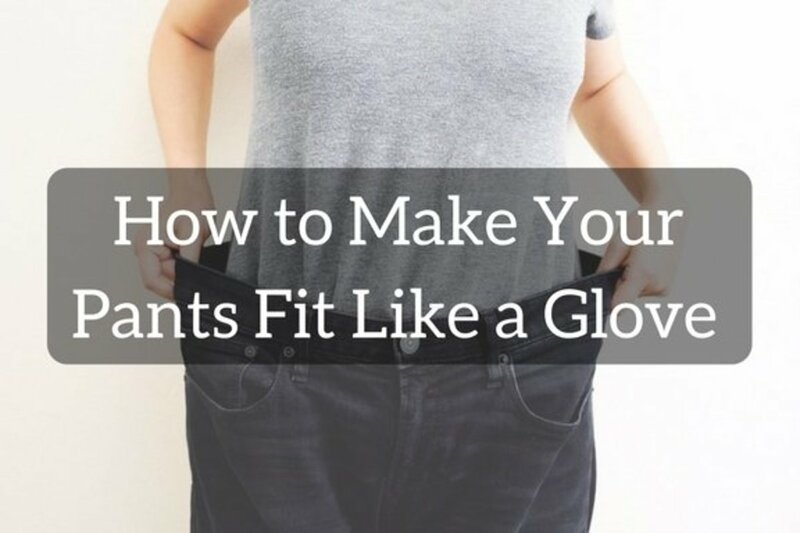 If not, you'll need to bend it back in place. I've found that a seam ripper is the perfect tool to fit in the little metal cage around the needle threader and bend the hook back into the right position. You could also use a small screwdriver to gently push the mechanism so it aligns with the eye of the needle once again. That's a nice and effective quick-fix. Now, you should be able to thread your machine quickly and easily, or at least that's the goal! Having Troubles With Your Automatic Needle Threader? - Share your thoughts and comments here! Why no videos on the automatic threader on the Pfaff Tiptronic 1171? There seem to be videos on the automatic threaders of almost all other sewing machines.